For development of knowledge and Technology in Heating, Refrigerating, Air-conditioning and Ventilating. It is strong intention of the leading professional engineers to join an ASHRAE CHAPTER since 1988. Professor Vechaphutti T. had joined ASHRAE Far East Conference on Air Conditioning in Hot Climates in Kuala Lumpur Malaysia by presenting his Author of "Overall Thermal Transfer Values (OTTV) for Thailand and Professor Ungbhakorn V. has presented his Author of " Air Conditioning Expert System for Buildings in Thailand"
July 1993 �AIR CON CLUB� has been founded. Over 300 Honorary guests and Engineers joined the AIR CON CLUB Dinner Party, and had Invited Professor Dr. Willbert F. Staecker from Illinois State University (ASHRAE FELLOW) to give a special lecture on �REPLACING CFCs and It's IMPACT ON AIR CONDITIONING� It seems that the road to ASHARE CHAPTER in Thailand has started. In 1994 One of the Committee Chair of Japan ASHARE CHAPTER had encourage Professor Vechaphutti to work as representative of ASHARE in Thailand and sent Professor Vechaphutti's RESUME to ASHRAE Head office, Atlanta GA. And the activity of ASHRAE Membership promotion has been started since then. May 1995 Two of ASHARE�s Presidential member Mr. DONALD G.RICH & MR. RICHARD A. CHARLES visited our Air Con Club and giving the most valued advice in joining ASHARE closely as Thailand ASHARE CHAPTER. In 1996 �AIR CON CLUB� as streering in calling up a meeting among members of ASHARE in Bangkok, Thailand. For brain storming in setting up Thailand ASHARE CHAPTER. August 2,1999 �Air Con Club� invited the Director Regional Chaiman Mr. Vincent Tse of Hong Kong and Mr. K.C.Ng. Committee Chair Malaysia ASHARE CHAPTER to visit us as advisor for settting up Thailand ASHARE CHAPTER. August 26-28, 1999 Air Con Club's representative were invited to join ASHARE REGIONAL CONFERENCE in HONG KONG. November 19, 1999 Mr.Vincent Tse & Mr. K.C.Ng. were invited to our official meeting in Bangkok to advise procedure and regulation of ASHARE CHAPTER and Mr. WICHAI LAKSANAKORN has been voted for President of Thailand ASHARE CHAPTER and processing of Thailand ASHARE CHAPTER set up. March 27,2000 Success in setting up Thailand ASHARE CHAPTER. 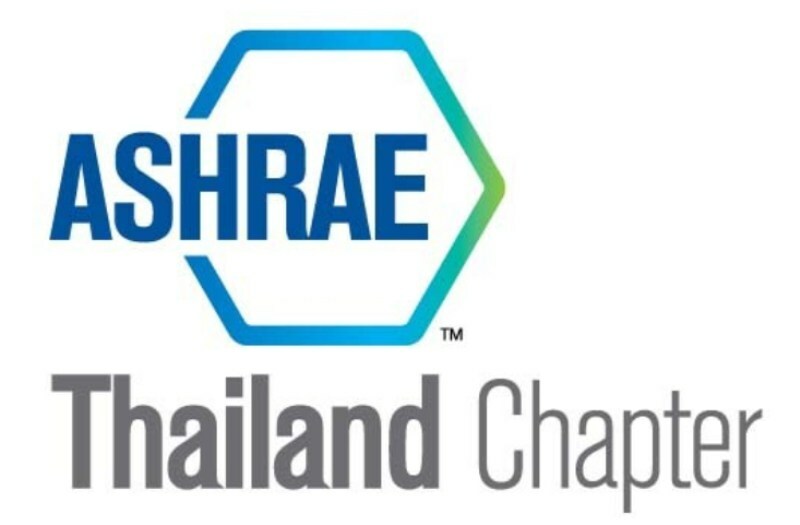 A full day Training of CHAPTER OPERATIONS WORKSHOP for Thailand ASHARE CHAPTER,s Board of Governors and Committee chair were held by having Mr. Harley W. Goodman The President of ASHRAE U.S.A. as chairman with opening speech "Overview of ASHRAE" and lecturer run up. March 27,2000 : Charter Night of Thailand ASHARE CHAPTER over 120 honorary guests had joined the dinner party to celebrate success of setting up Thailand ASHARE CHAPTER. Mr. Harley W. Goodman The President of ASHRAE has present GAVEL & BANNER to Mr. WICHAI LAKSANAKORN The President of Thailand ASHARE CHAPTER. May 2000 : Technical seminar "Inverter and Application for Energy Conservation"
June 10, 2000 : Mr. Kecha Thirakomen The President Elect and Dr. Tul Manewattana Student Activities chair visited & joined seminar in K.L. Malaysia. July 2000 : Technical seminar & Training by refrigeration committee chair to those Technical college teachers.